Image courtesy of Franconia Brewing Co.
On Monday February 26, 2018, Franconia Brewing Co. became only the second North Texas-based production brewery since Prohibition to be in business for 10 years. To celebrate this milestone, the brewery has plans for not only for a series of anniversary beers, but also for a rather significant addition to its facility in McKinney. 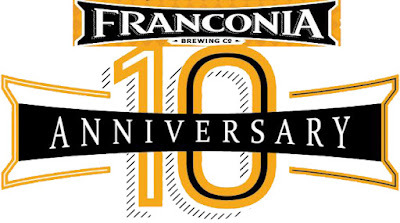 "Since opening its doors in February 2008, Franconia Brewing Co. has been dedicated to providing world class German-style beer to drinkers in the Dallas/Ft. Worth area using only the best ingredients. Franconia is more than just a local brewery, it is the essence of true Bavarian brewing. By combining local accessibility to North Texas with our German heritage, Franconia is able to provide the fine people of North Texas with a taste of some of the most genuine and freshest Bavarian beer available. 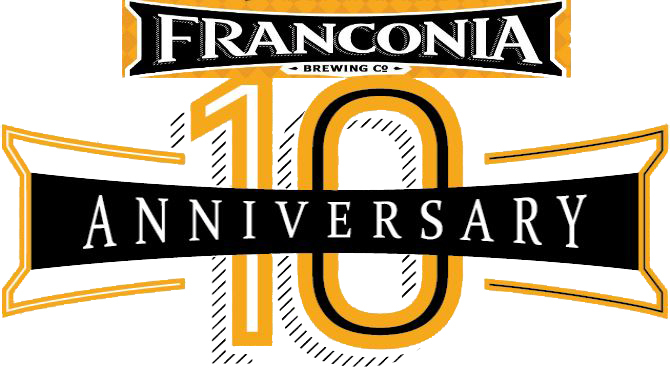 Ten years later, Franconia is still one of the few breweries known for its quality and consistency. Founder Dennis Wehrmann and others at Franconia champion the 'Green movement,' adopting many practices to help improve the environmental concerns in North Texas, such as recycling their mash into local cattle feed, operating in a state-of-the-art energy efficient building, and using solar panels for their power needs - thus making themselves stand apart from most other breweries. It is that 'better beer,' along with a commitment to sustainability and community involvement, that has helped keep Franconia growing steadily in the increasingly competitive marketplace of the Texas craft beer industry over the last 10 years. 'The overwhelming support the community has continuously shown has been crucial to the brewery's success,' claims Wehrmann, who also attributes his success to the steady flow of attendees to the brewery tours he has held every Saturday since Franconia's inception." As for how the brewery intends to commemorate its run, a year-long "10 Year Anniversary Celebration" will highlight the close relationship between brewery and community in several ways. First and perhaps foremost, the City of McKinney has approved the building of a "Bier Garden/Tap Room" on the premises right next to the current brewery. Expected to be completed this year, the existence of the taproom means Franconia will be open for business beyond its regular Saturday tours. Hazy Dhaze - New England IPA. Fun in the Sun - Belgian Blonde. Full Steam Ahead - Steam Beer/California Common. Chicken Dance - Bordeaux Aged Wheat Bock. These beers will be released individually on a quarterly basis throughout the year, and also as part of a special anniversary case package (containing all four anniversary brews), to be made available at select locations throughout the year. More information on the anniversary beers (artwork, tasting notes) and plans for the taproom will be unveiled in the coming weeks. Stay in the know by following Franconia on Facebook.